Designers and architects are beginning to address the needs of a more diverse range of clients. There is a huge interest for houses and apartments to be designed to make it easier for people with limited mobility to live independently at home for longer. Windows, in particular, can cause difficulties, as some people with limited mobility are unable to comfortably utilise the standard window handle on the side of the frame. With this in mind, APA Façade Systems have designed the Life Enhancing Window. By positioning the handle at the bottom of the window, this turn and tilt system gives the user continuous access to the handle, allowing them to open and close the window with minimal effort. Our Life Enhancing Window is compatible with all our ST windows systems, and also have multipoint locking facilities for added security. This system meets all the requirements of the ‘Lifetime Homes Scheme’ in the UK and comes with a choice of thermally efficient polyamide cores ranging from (24mm — 44mm). 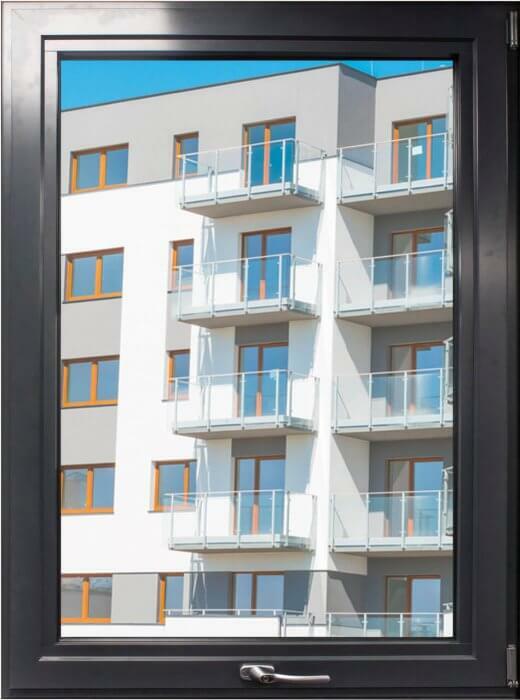 Depending on the system, the glazing aperture can vary from 28mm — 52mm, allowing a choice of infill panels to suit thermal and acoustic performance requirements. *Whole window U values are a combination of the frame and glazing thermal performance and as such will vary with the specification of glass utilised. Please consult with the APA technical team for more specific performance information.